Warning: Major spoilers for Buffy the Vampire Slayer. My favorite episode of Buffy is an odd one, an often-overlooked story without much action: “After Life,” season 6, episode 3. Buffy died at the end of season 5, and Willow has just resurrected her, but not everything’s gone according to plan. Buffy is more hurt, more damaged, than anyone expected. But she’s alive. It’s really her. 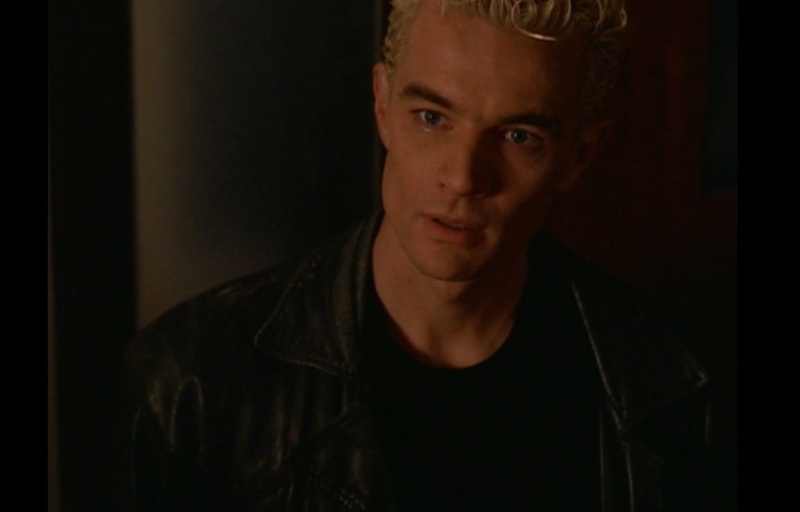 My favorite scene in my favorite episode is when Spike sees her for the first time post-resurrection. 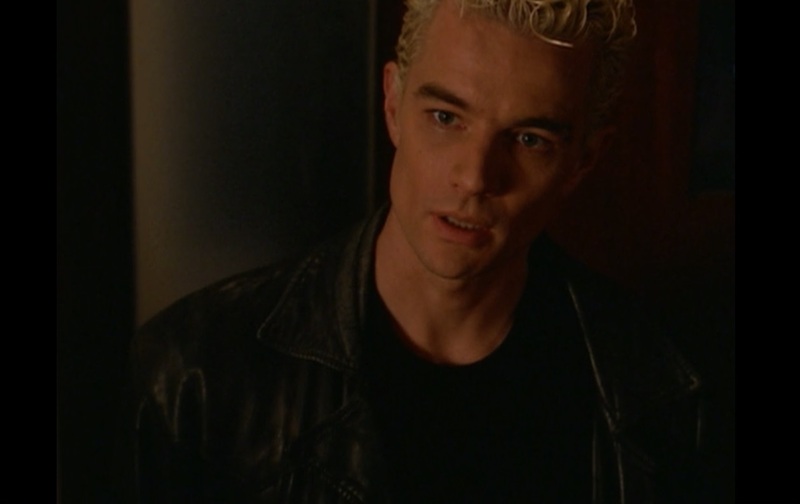 Spike, you see, loves Buffy more than anything on earth, and he’s lost her, he’s resigned himself to having his heart ripped out. Same old story. But he walks into the house, unsuspecting, distracted, worried about something else entirely – and there, at the top of the stairs, there she is. For the next ten seconds or so, he doesn’t say a word. He just – looks at her. The why and the how and the what next all come later. In this moment, he’s just drinking in the miracle. Miss Honey’s mouth dropped open and her eyes stretched so wide you could see the whites all round. She didn’t say a word. She couldn’t. . . . [She was] gazing at the child in absolute wonderment, as though she were The Creation, The Beginning Of The World, The First Morning. It’s very common in books, in movies, on TV, to see someone’s heart ripped out. 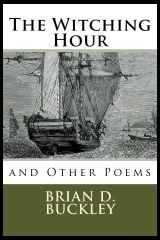 But every now and then – much more rarely – the heart comes back again. This entry was posted in Uncategorized and tagged Buffy, Transcendence. Bookmark the permalink. 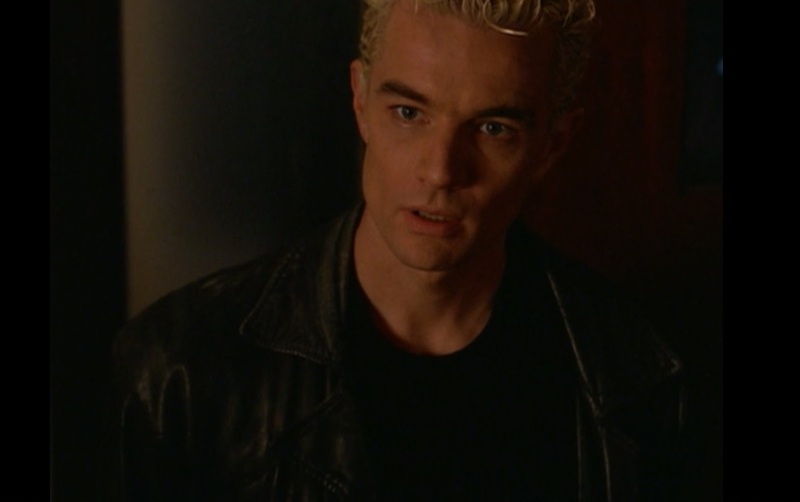 The scene itself is beautifully shot too, as it mirrors the last time Buffy and Spike were in the Summers’ Household.